What’s it take to intern for a PIE startup? A few of the PIE startups have spent the past month working with this year’s fresh batch of Epicodus interns. Since they’re wrapping up their internship this week, I got them together to find out what their experience has been like. What’s crazy is that less than 6 months ago, this group had their hands in completely different fields than what they’re in now. From the group is a high school teacher, another who worked in air traffic control, and others who did admin work and business development. They’re a diverse group that’s pretty proud of how far they’ve come with understanding and executing code. To start, I spoke with Christian Danielson who’s working on refactoring the front end code base for Outdoor Project and the duo Catherine Chen and Justin Spears working with Read the Docs. “I initially began working on tackling some bugs,” Catherine said. 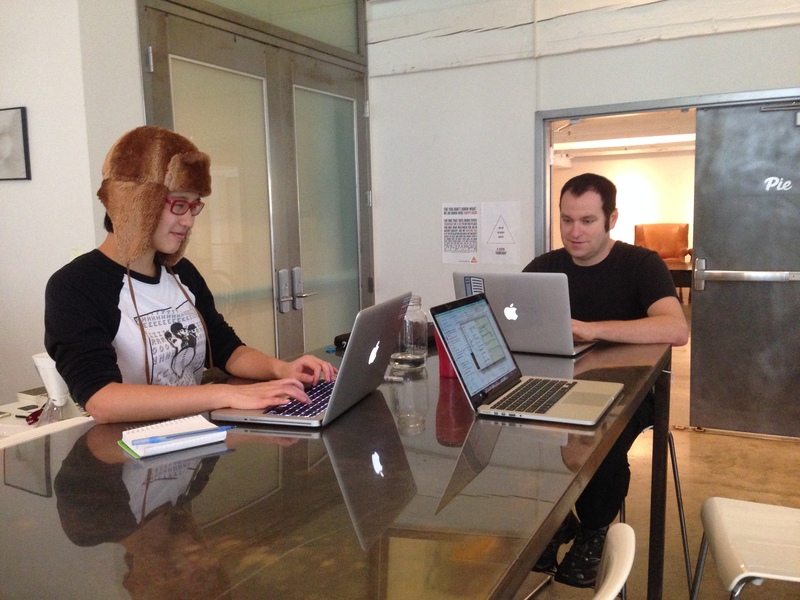 The pair is also writing a bookmarking feature for Read the Docs users to further organize their documentation. I also had a chance to chat with interns Jennifer McCarthy and Tanner Stewart who are working with PIE alum Switchboard. “They’ve got us building an app that they can use internally for meeting communication, but they also have us working in Switchboard code—building out some smaller features for actual users.” Tanner’s been working on some of their membership premium products. 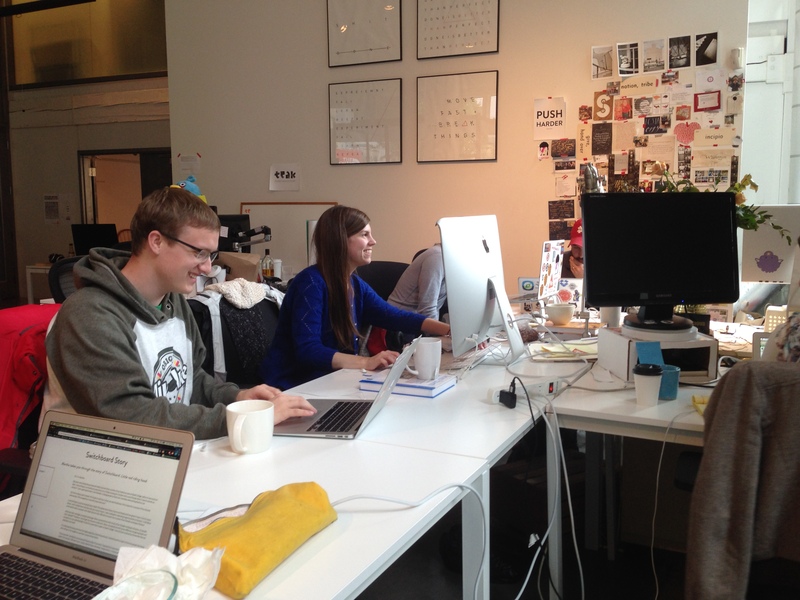 So what’s it really like to intern for a PIE startup? In a fast paced startup environment, I figured that trying to keep up with it all would be a challenge. “The challenges aren’t in actual code building,” Jennifer chimed in. “But this is the first time I’ve actually contributed to something that wasn’t built by me. I’m working with a new dev team that’s never existed in my career before. So I’d say the challenges are just getting used to that environment and figuring out where I fit in them.” The rest of the group seemed to echo her, almost chorusing around the theme PERSISTENCE. Every single one of them admitted to facing challenges, but they’d either ask questions until they resolved the issue, or they’d “google it” until they found the answer they were looking for. Interested to learn more about Epicodus? Visit their website to learn more. Looking for a job or internship in Portland? Have you checked here? Portland Startups Switchboard. 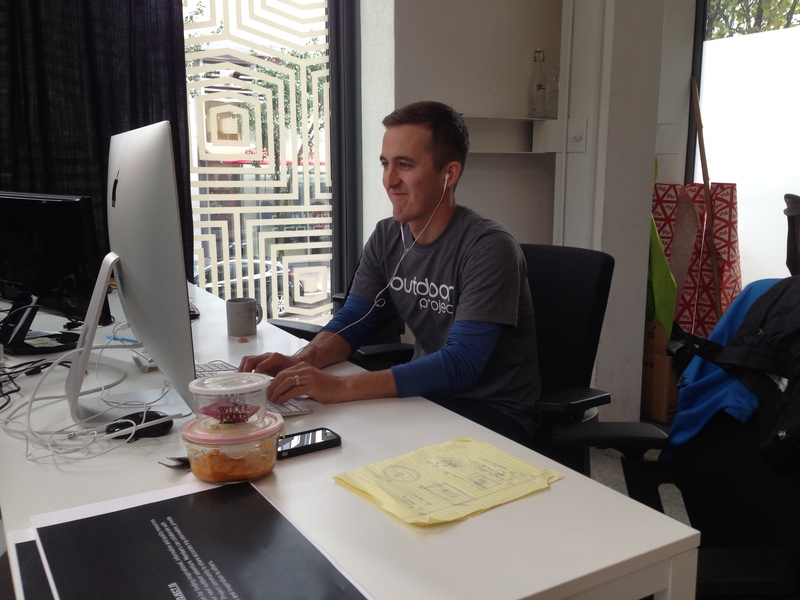 This entry was posted in Community and tagged epicodus, interns, outdoor project, persistence, read the docs, switchboard. Bookmark the permalink.